Stitch Story: Spreading the Joy of Crochet! Spreading the Joy of Crochet! It is always so wonderful to hear about what people do with my patterns! 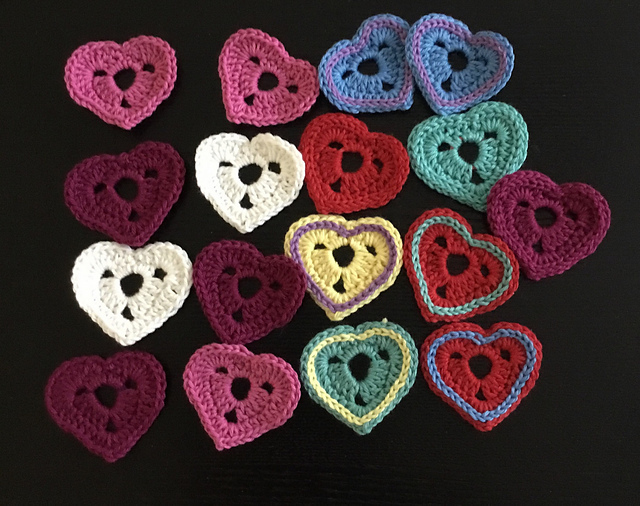 Recently, a lovely lady from Australia contacted me to ask if it was ok to use my Sweetheart Button Frames pattern to make hearts to give away in her non-profit craft shop as a way to revive interest in crochet. I loved the idea, and told her that she certainly could! The photo above was a sampling of the hearts that she made. She also had the brilliant idea to use Rainbow Loom bands to crochet around, instead of the elastic I used. 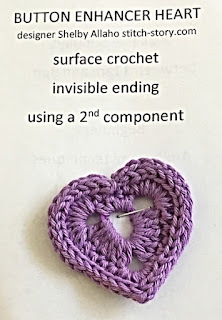 This pattern was designed pre-Rainbow Loom craze, so I think I will update the pattern with this clever tip! She told me that the giveaway generated a lot of interest in crochet and people requested the pattern so they could make some. 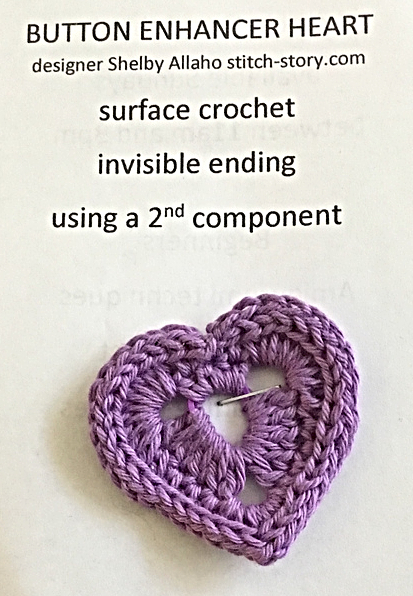 It was really lovely to hear that this little crochet pattern could get people to want to learn to crochet. I was so impressed with the effort that she put into this giveaway, and I only wish I could have attended! What a cute idea! And the heart is beautiful!